Tonight I got to walk the Trail of Lights. There were A LOT OF PEOPLE!!!. Not preferable since I wanted to take my time and make photographs. 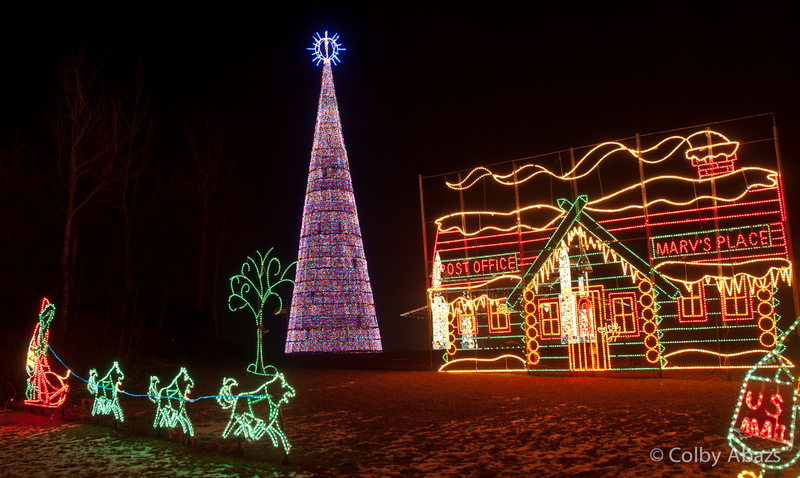 I did manage to sneak a few in and this one is my favorite because it shows the massive tree and the little sled dog post office village which fits the season more that many of their displays. All in all a good experience but probably would have been better on a quieter non-saturday night.